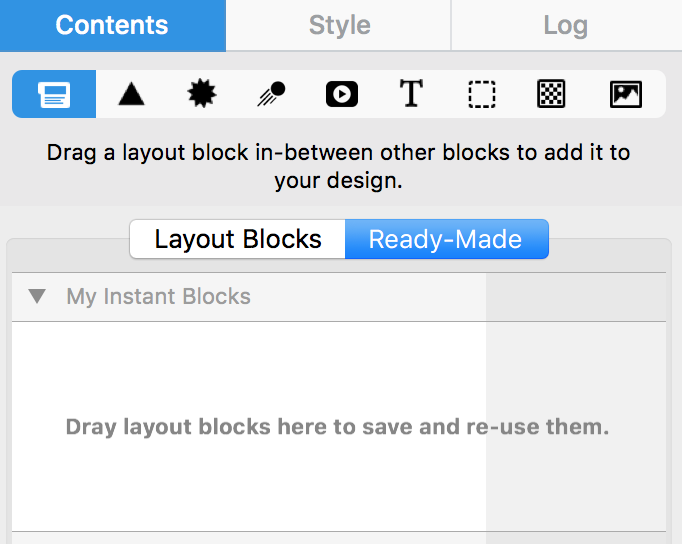 With Mail Designer 365, you can save any one of your layout blocks. This is convenient when you want to keep reusing the same header, footer, or social media links in your email campaigns. First, make sure that you are on the “Content” section. Click on the layout blocks icon. 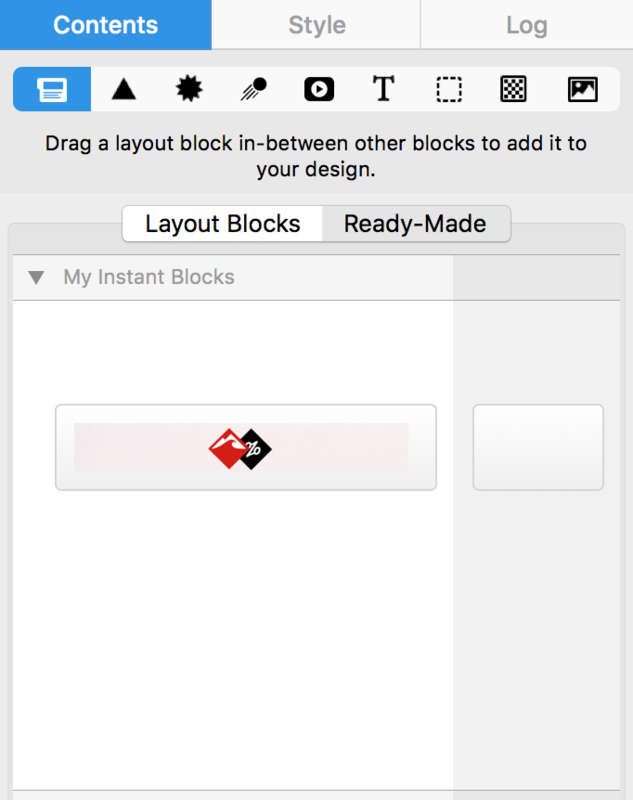 Drag and drop your layout block into the “My Instant Blocks” section.